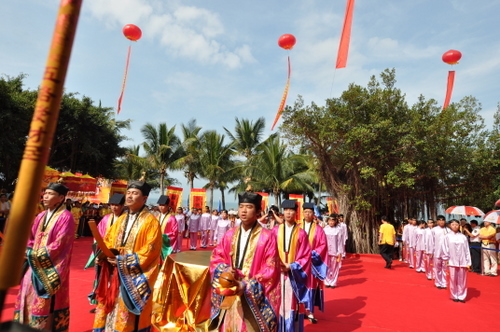 Every year when this day comes, a series of Hainan folk cultural activities will be held in Sanya, such as Li & Miao's traditional singing and dancing shows, a Dongtian Temple Fair and a Lingao puppet show. The event will be held from 9：00 am to 10：30 am at Dongtian Park on March 13, and more than 300 fishing boats will attend. The event is to be held in March 13, Dongtian Park will offer the winners exquisite gifts.